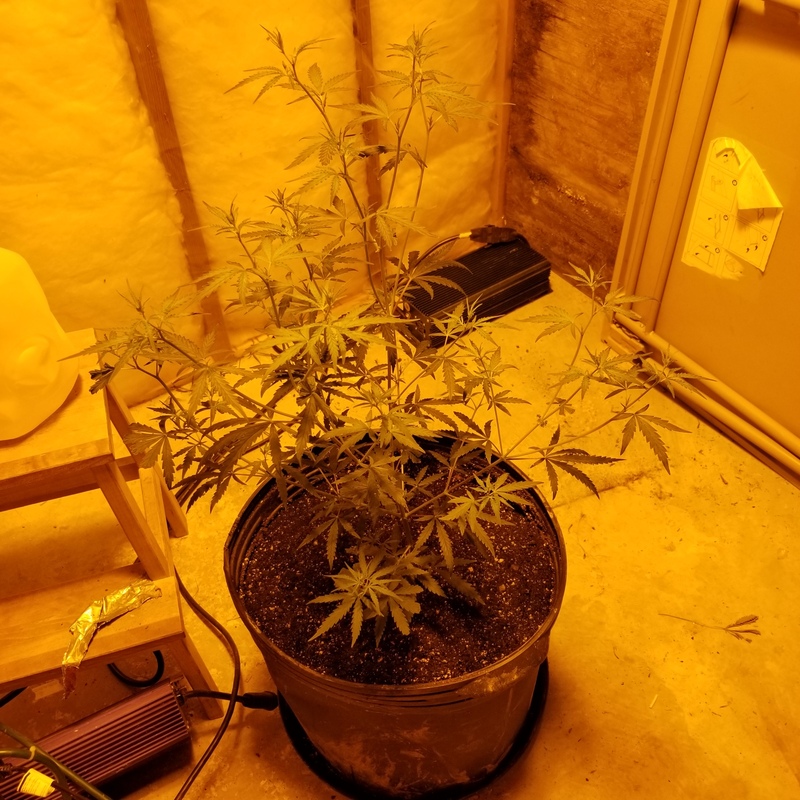 So I'm almost done with my first grow in about 4 years. 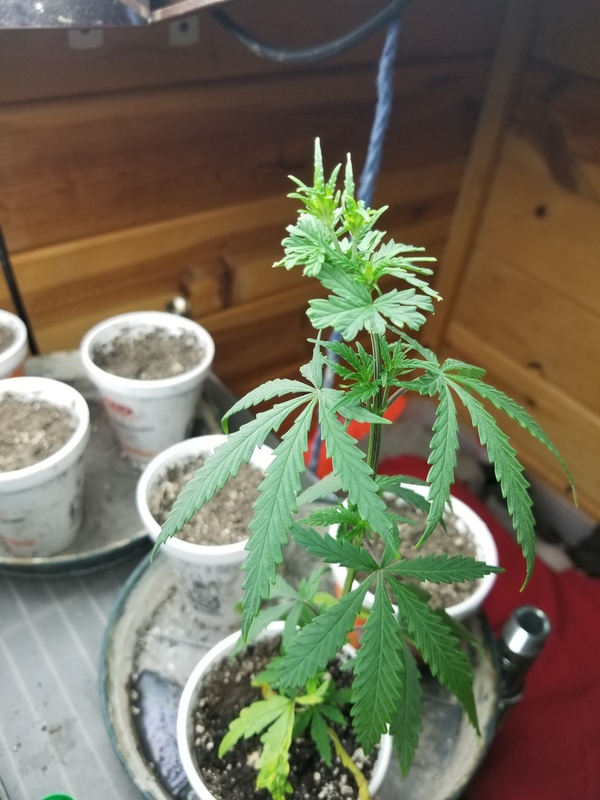 It's just some seed I had from an outdoor grow that got pollinated. This is where I'm at. 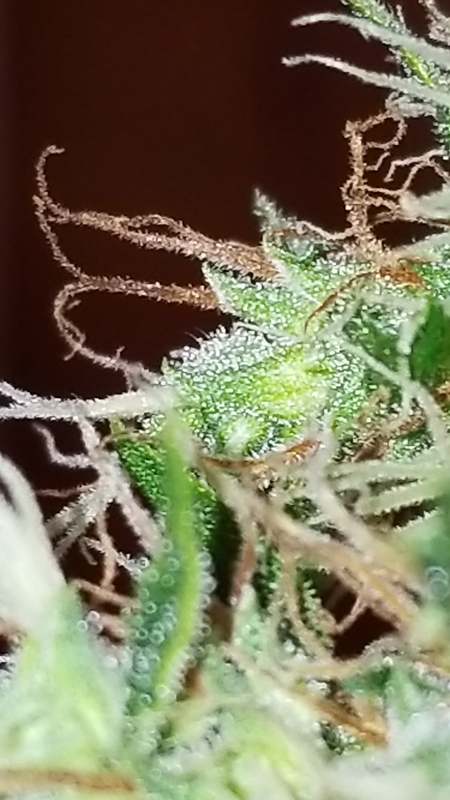 Almost ready to harvest. And this is the replacement. Alright @Jdem075 and welcome to OG! Let's see how its done! Here is the one I took today. These are grown in fox farm happy frog dirt, 1 gallon pots. 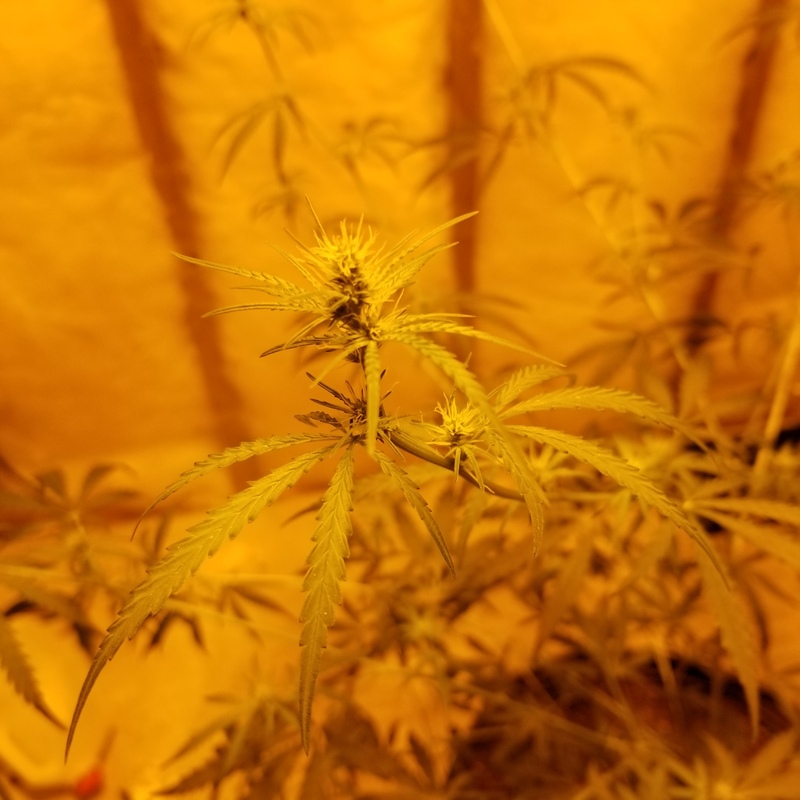 With only about 2 weeks veg. Only nutes I used were tiger bloom using the recommended amount on the bottle once a week. 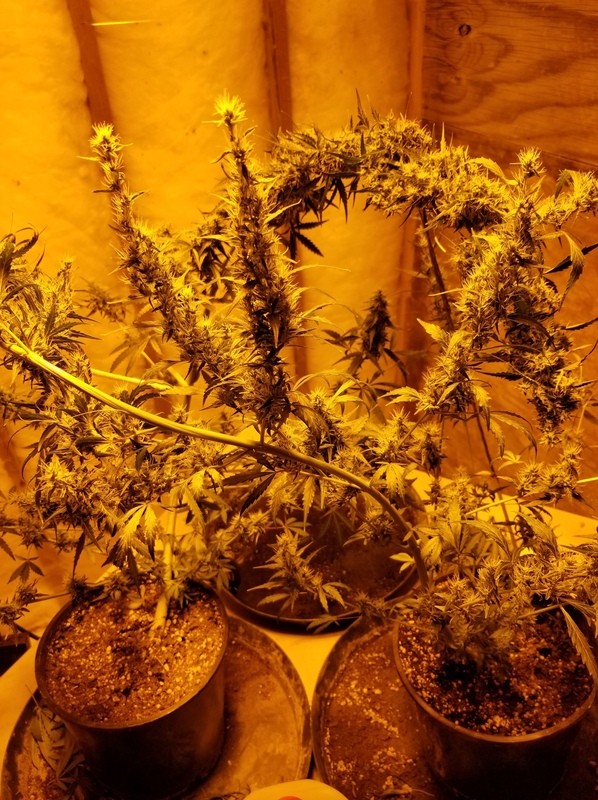 Grown under 1k hps. Welcome ! 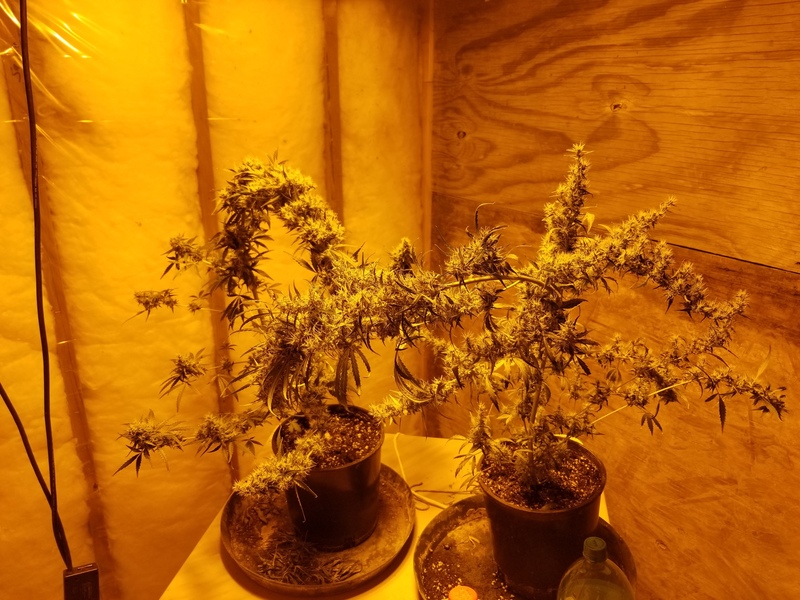 How long was the flowering time for these girls ? They have been flowering for about 6-7 weeks. I need to start writing down dates lol. 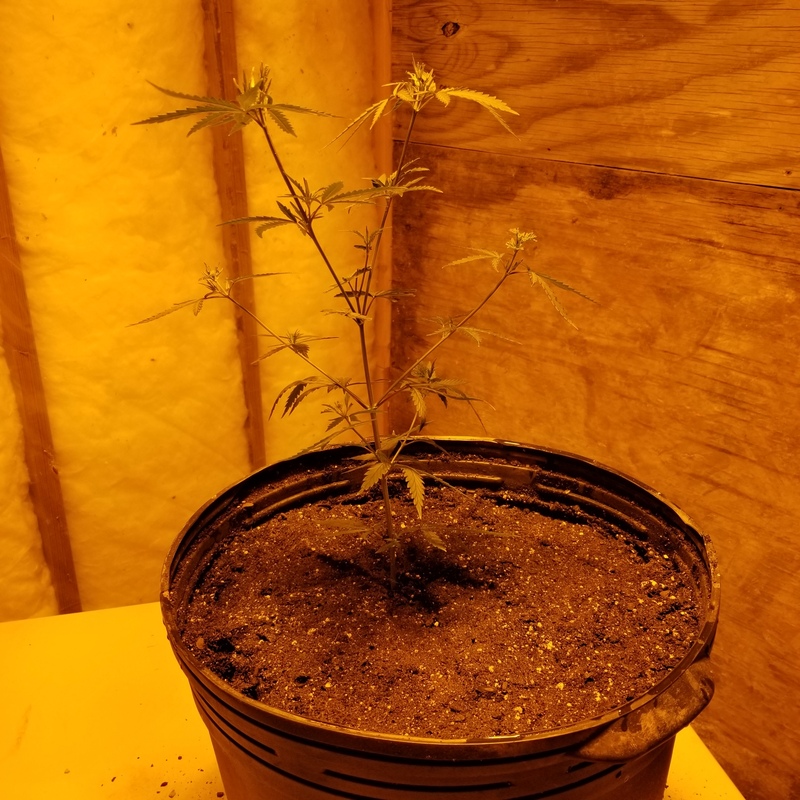 Or you can keep a somewhat detailed grow diary and toss the pencil and paper in the recycle bin. What strain are you growing? Looks like some stretch at play. A buddy gave me some seeds from an accidental cross with lemon haze and diesel I think. Then I grew them and did the same thing. These are those seeds. 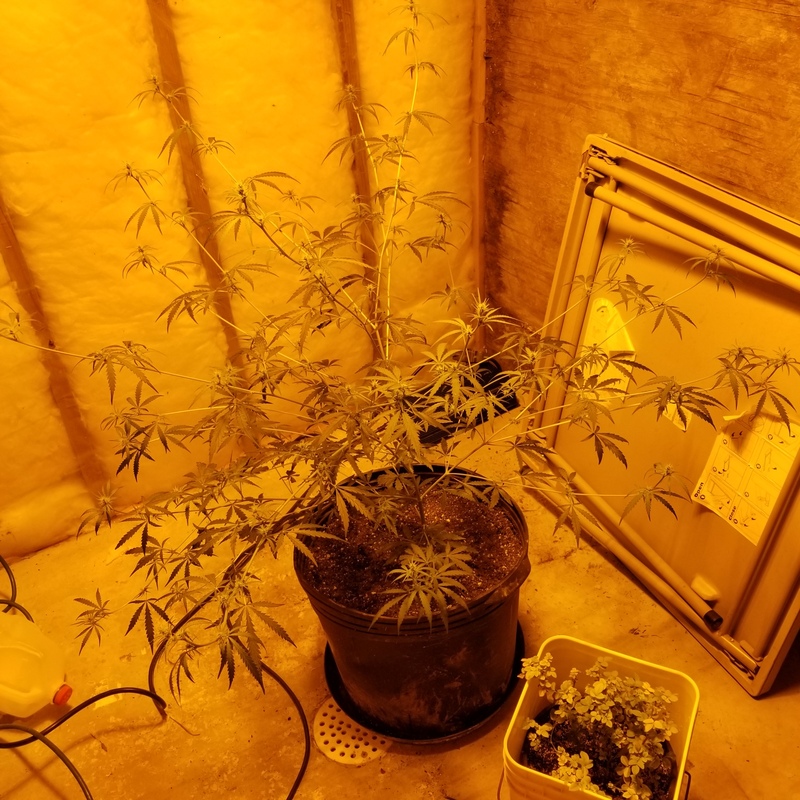 So, I dried and gave a couple days cure to the plant pictured. My girlfriend just tried it and said there was no taste...but there was a bit of a head high and some body. Growing it had a strong lemon/sour/mint smell. Here are the two girls today. They seem to have really slowed down taking up water. i took some trich shots just now and was wondering what you all thought. i think i need to take them because i have family coming in about a week, and i want the smell to dissipate before they get here. So about a week ago I fimed this new one. I think it went well. I think I'll do it again. So, I haven't posted for a bit. 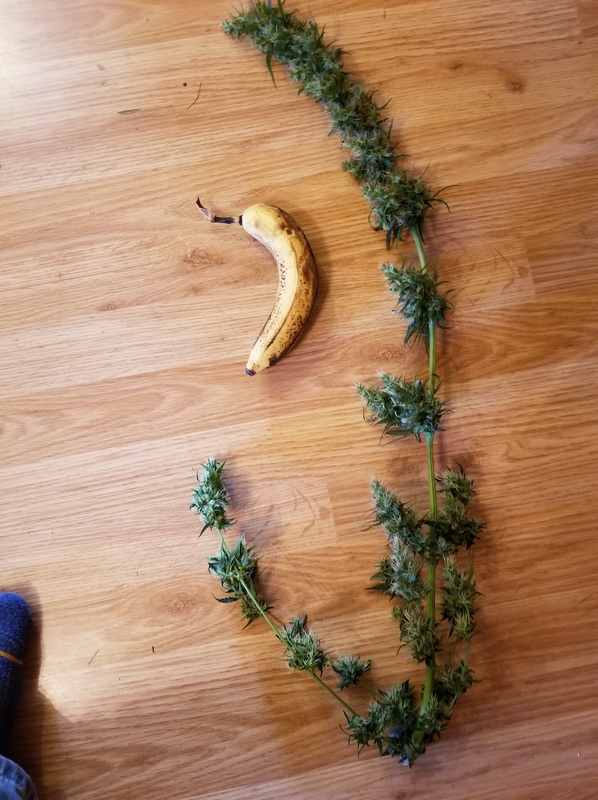 I harvested the two I had going. Got about an oz each dried. Not bad for a three gallon pot. I found pistols on the little girl yesterday! So today i repotted her in an 8(?) Gallon pot. I clipped her three times and now she's in flower. First day. This is a week later. 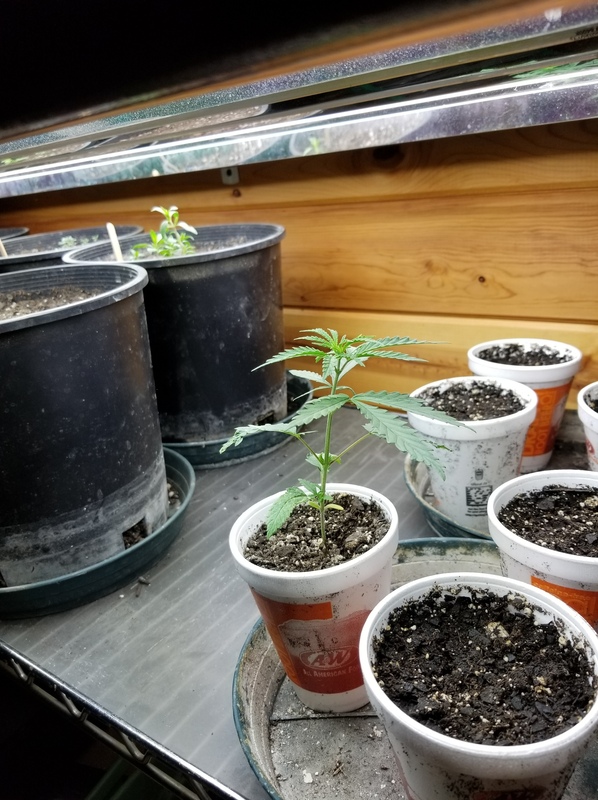 My plants look so spindly compared to all the ones I see here. Weekly picture. Here she is. What are you using for light and how high are you running it? 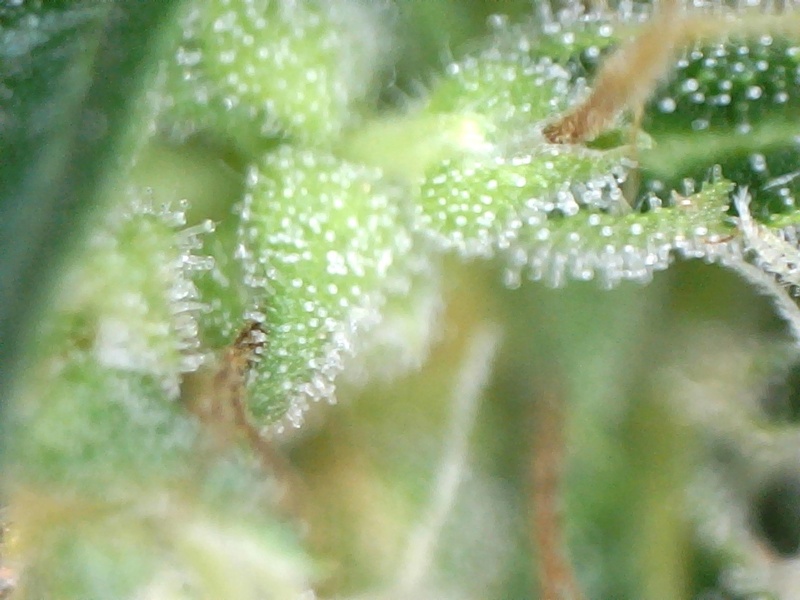 I'm guessing some type of hps from that yellow haze. Not sure about that height, but the rest of the info is here. Thanks @ReikoX, I don't know how I missed that. My guess it's probably genetics. It has a hemp like look to it and that may have been where that pollen originated. It grows mad around here in all the country roadside ditches. 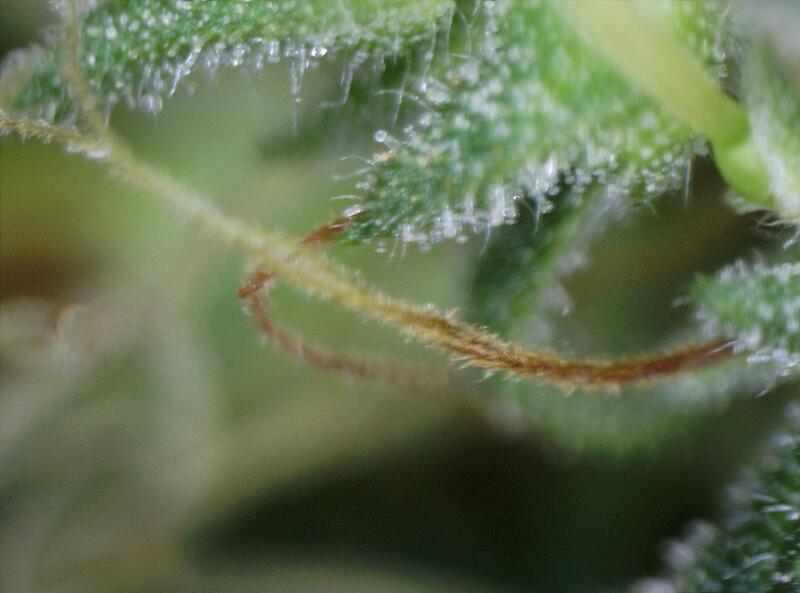 Any plans to scrog? I see a lot of space for plants. I like to grow bushes, takes a little veg time though. U did that all that with one bottle? Impressive. I end up having to mix 8 damn bottles, takes longer to mix up nutes than it does for feeding. Looking forward to seeing the progression. I was thinking about making a scrog with some fencing I have, and some 2x4s. This is stretching allot. I'm testing my setup with my bag seed to work out the kinks before I use the seeds cannabissequoia just sent me. I also got a seed out of a bag of Alaskan thunderfuck that I want to try. I harvested the first ones that were in one gallon pots. This one is in a 10 gallon pot. Used all the rest of my dirt. Kinda wanted to see how big it would get.